More often than not, when homeowners discover that pests have found their way inside the house, they often attempt not only to try to get rid of the problem but also to control it on their own. However, the truth of the matter is that many nuisance pests are best left to pest control professionals who have not only the needed knowledge but also the tools and the training required to safely and adequately eliminate the infestations. Every time a homeowner tries to treat the problem personally, most of the time, they end up not addressing the root of the whole issue and instead they treat the tip of the iceberg. Nevertheless, if left to the pest control professionals, then you will not have to worry about the nuisance pests not being wholly eradicated. Notably, these pest infestations always pose high health risks not only to you but also to your family and can even lead to the destruction of your property. 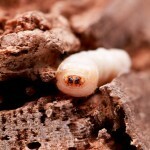 Some of the nuisance pests that we get rid of include termites as well as other wood-boring insects, bed bugs, stinging insects as well as recurring infestations. Each of these insects has their health risks among other risks. Wood-boring insects such as carpenter ants, termites, powder post beetles and carpenter bees always damage vital support beams of your house thus, ultimately resulting in you making expensive repairs that homeowners’ insurance policies do not cover. They are called the silent destroyers because they can chew through flooring, wood or wallpaper not only silently but also undetectable. On the other hand, bed bugs are the most elusive insects that hide out in tough to find places such as under the wallpaper or behind the electrical switches among other areas. They are also hardy pests and are the most difficult to treat thus, taking several treatments before being completely wiped out. Stinging insects pose severe health risks, more so, to those with sting allergies. Therefore, with our professional aid, we treat all of the above and infestations that keep coming back no matter how many times you treat them. It is time for you to call us – your professional help.